Fortnite has officially landed on Nintendo Switch, finally allowing owners of the console to join in with the battle royale phenomenon that has taken over the world recently. How does the game run on the console, though? Let's find out. The video above, shared by the folks at VG Tech, examines the game's frame rate in several different areas in docked mode. This mode uses a dynamic resolution, with the lowest native resolution found being approximately 1093x615 and the highest being 1600x900 (or 900p). The frame rate is always displayed in the top left corner of the video, and as you can see, it sticks to 30fps for the majority of the time. A few frames seem to drop every now and then, especially when a lot of action is happening on screen, with the worst offender appearing to be the moment where everyone is jumping down to the battlefield below. It's not amazing by any means, but it certainly gets the job done for the most part. If you're interested, we also recently reported on a video that shows the Switch version of the game running side-by-side with the PS4 version. The differences were pleasingly minimal across the board. Have you been playing Fortnite on your Switch? How have you found the game's performance? Let us know how you've been getting on in the comments below. It runs better than PUBG on the Xbox One X.
Yeah, that video does not tell the full story. When the "dynamic resolution" dips it really does not look great. Handheld is the way to go. Luckily looks like I can keep playing on PC when I am at home on the same account. Been busy with Hollow Knight and Unravel 2 to really test it out fully. @Agramonte To Epic's credit, handheld is really where they needed to get right and seems they have in a lot of cases. Why play an F2P game with Switch on TV (unless it really is your only option.. or Sonys thing going on) when all the alternatives are better. Fortnite anywhere is where its market is. Even though I find the game snoozeville. @XenoShaun 100% agree - Handheld should have been the point. Blows playing on a phone out of the water by a mile. Best fun i've had for free on the switch. Thanks Epic. It loads twice as fast as the Xbox version. The game isn't bad, but I can see it getting boring, maybe if they add new modes it'll improve. I can't complain too much cause it is free. It's one of those I can see myself playing a few rounds of, then I've got my fill for a while. It's fine, and it's something Nintendo needs to try and stay relevant. That battery drainage though... holy crap. Wait, 30fps? I thought it was supposed to be 60fps? How important is it that I pick up a headset? I'm going to do it anyway, in a few weeks (strapped for funds, at the moment), but can I play the game without one, without screwing the team that I'm on over? I played for about 20 minutes or so last night, but I just don't see the appeal. I ended up deleting it. @FutureTrojan really? That’s interesting. I thought the “Save the World” zombie mode wasn’t coming to Switch? We’re you actually able to play it? Have you tried yet? @Knuckles-Fajita Maybe so, but for better, for worse PUBG is atleast visually far more demanding than Fortnite, which already runs at 60fps on standard Xbox One. I think they should simplify the visuals more on Switch to hit 60FPS. It is a cartoon game and there's alot that could be cut and wouldn't be missed. @BanjoPickles Never played it before, and yesterday I paired with an awesome team that otherwise would have ended first, but got 3rd mostly for saving me like 3 times. If you are good for this kind of games, maybe you can catch up quick without a headset, however, if you rely highly on communication, a headset is recommended. Remember it will support audiochat natively whitout the need of an app (thank you Epic). In the meantime search the web for guides as how to play better in squad or duos mode, and try to cope fast. @Nunya 50 hours?? 0.0 That.. may not be humanly possible. Been giving 50v50 a go and seems to be a game of "get dingied by your team mates for not letting you get a weapon". @Supadav03 I wasn’t able to, but it might be available in a future update. I mean, it's certainly not bad, but I don't understand why it's a phenomenon like it is. Frankly if I am gonna play a shooter I would prefer deathmatch or team deathmatch. Not this, die once and that's the end of the round nonsense. @MoonKnight7 haha. Seems to keep others pretty busy. This game is basically unplayable for me without a gyro option after playing Splatoon for 600+ hours with gyro. I won’t be playing it just for this reason. @BanjoPickles ya its fine without it but coordinated team can murder you. @justin233 Aim assist helps. It's no gyro but it helps. @Mew Maybe I’ll give it another shot with that on. Thanks! For free it's good, how long the novelty of it last is what I'll find out in the coming weeks. I actually don't like gyro aiming on Splatoon. Maybe it's improved since I last played, but I hated how it was set up and was basically unplayable for me. I'm fine with no gyro controls in Fortnite. I'm not interested with the game but just curious one thing. The game is Free download, but i'm not sure it will be 100% Free, there must be some points you have to pay, right ? @Anti-Matter Yes, but they are entirely optional. @Knuckles-Fajita know what's even more sad? PUBG not existing on switch. @Anti-Matter Like @Malpais said, the parts that cost money are entirely optional. At least as far as I can tell. @gatorboi352 And you know what’s really sad? Caring about PUBG midway through 2018. @justin233 It's on by default. @liveswired it will most definitely get better. It is one of the most continually updated games out today. Epic will be working hard to patch this and improve everything. Took me atleast x4 rounds to get anywhere near a weapon for the first time. What's the purpose of the area your in just prior to getting on the bus? Everyone seems to be smashing stuff up picking up weapons, but when I picked up a weapon I didn't have it after jumping from the bus? @Knuckles-Fajita PUBG doesn't run well on anything. It's the difference between amateurs lucking out and a seasoned studio. Shouldn't FPS games be at least 60FPS? @Bod2019 It's just a lobby to mess around with before the battle starts. Fortnite never intrigued me on the PC or Mobile. But for some reason I'm super excited about the Switch version! It runs well enough and fits right into the console's TG. Has anyone else lost vbucks after connecting their epic account to switch? I was not expecting much from the game (not really an online player) but I got quite addicted yesterday when I tried it (a couple o 6th to start with probably due to most of the noobs on switch and only had 3/4 kills in about 10 rounds). Also I played it a bunch with hotspot from my cell and worked marvelous (and without too much data used also). Great port! Got it, thought as much, but wasn't sure as I've only ever been in it for all of 30secs at a time. Got it, and enjoying it with my son. We play handheld mode beside each other. "The differences were pleasingly minimal across the board"
LOL 30 fps versus 60 fps is a massive difference. @BlueOcean to be honest, speed of the game helps a lot to make the 30 fps work flawlessly. 60 fps makes a difference in Doom for example. @Mrtoad oh, the irony here coming from a Nintendo fan. Anyway back to PUBG, it was a fad in every sense of the word. It was enjoyed for a few months until people moved unto the next fad (Fornite) It was a Pokémon Go, A Fidget Spinner, or a Five Nights at Freddy’s. And the XBox One port of PUBG was rushed so it could be released before the fad ended (just like the Switch port of Fornite). @kevin74 20 minutes? I never like a game 20 minutes in. @justin233 well that's a little silly. I love splatoon as well and I play with gyro aiming. And yes it's wonderful. But you can't limit yourself and say you'll only ever play that way. 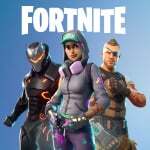 Take an hour or two, grab a buddy, and run some 50 v 50 or duos. It's loads of fun. You'll open yourself up to so many other shooters if you get used to using your thumbs the old way. If you grab a pro controller, the switch version is fantastic. Yes the graphics are not quite there nor is the FPS but it is playable and I'm sure it will look better in time. If they manage to add 60 fps later (just like they did on other consoles btw) and you have a pro controller, then I think this will be just fine. My only personal complaint is that as a PS4 and Switch owner, I had to set up a new account and pay for another battle pass since Sony locked their Epic accounts. I'm 23 with a full time job so a few extra bucks is not a big deal to me but I know younger kids will hate this. Honestly it's just the fact that Nintendo and Microsoft were able to play nice but Sony can't? It was a very pretentious move by them. They could have at least warned players they were going to do it. ANYWAY, I'm glad to see the game on Switch. I grew up on Nintendo and Sony consoles and the Wii U made me worry big time about Nintendo's future. Now I just need a few more things and I'll be perfectly satisfied. 5. Mario golf, soccer, baseball, etc. @Jhill0601 I grew up playing FPS with sticks. The issue is that I’m so used to gyro now that stick is very difficult for me. I tried the game for like an hour or two and just don’t see it being worth struggling to learn to play without motion controls. Oh well.